The Grades classes got off to a great start in our new blocks. The Lower grades are working in a language arts blocks where we are focusing on fairy tales, beginning with The 13 Clocks. This week we focused on the setting and characters of a story, sight words through games and vocabulary from our story. In Math, we continued working in our practice books with addition and subtraction. The Upper grades welcomed two new students, and began a block on Norse mythology this past week by hearing the Norse story of creation and discovering the nine worlds and the world tree. The students also had opportunities to use multiple types of lettering, and wrote with fountain pens. In Math, they continued practice in multiplication of large numbers. This week the students will begin learning rules of numbers for long division. In Advocacy, we listed the many characteristics of people, and drew a Venn diagram, with a large overlapping center, to show the things we have in common and the things that make us individuals. In sculpture, we worked individually with our left and right hands molding small bits of clay into various shapes. During our social entrepreneurship class, we have a special guest visitor and made her special recipe for bug spray! 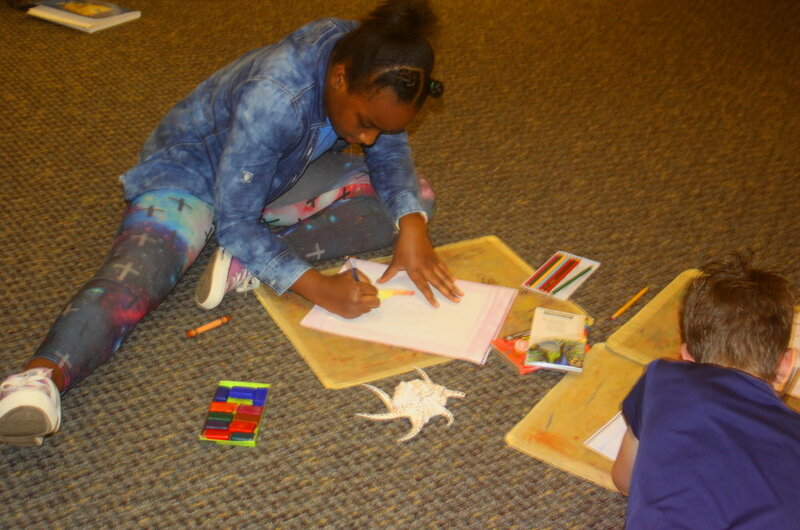 This week the grades students got a closeup look at 30 different seashells from the Gulf of Mexico and created some seashell drawings for their master books. 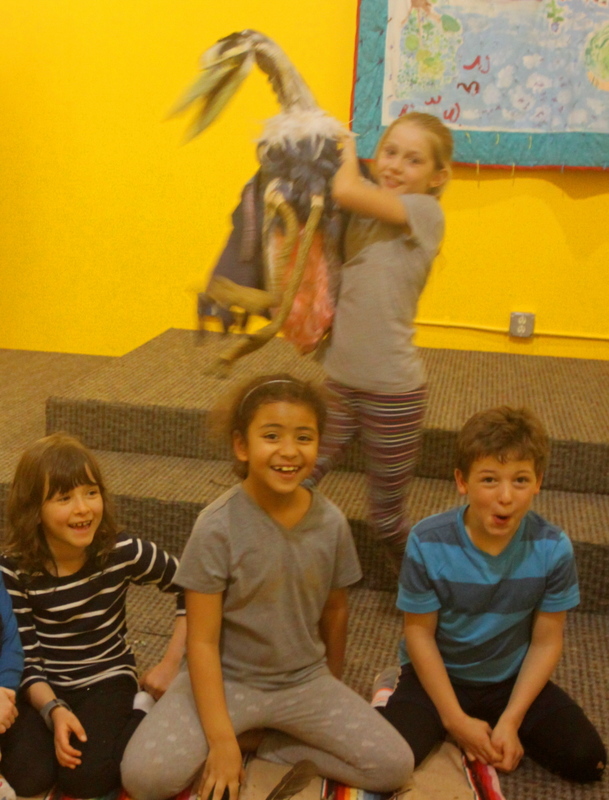 We learned all about birds and met Perdido, the Great Blue Heron puppet. 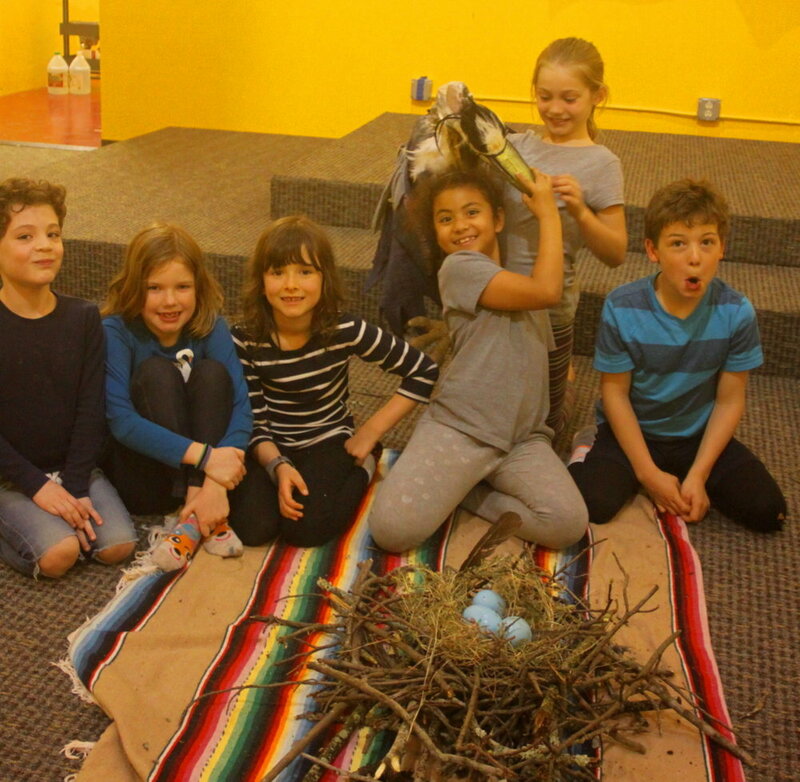 Working as a team, we built a Great Blue Heron nest of sticks and dried grass and placed three large blue eggs in it. 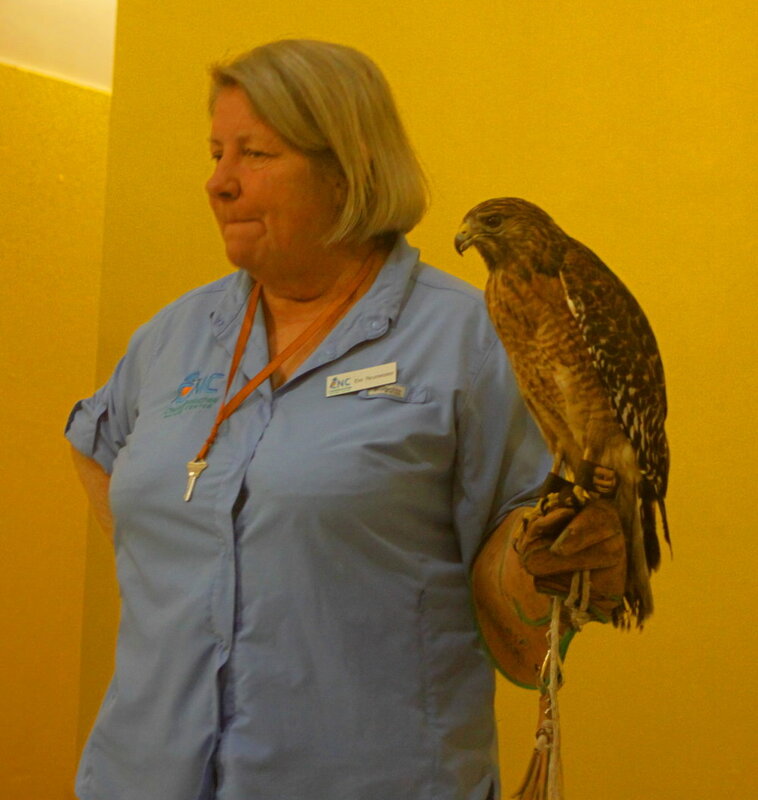 For our Creature Feature program, Ki Eve, a naturalist at Chattahoochee Nature Center, showed us two of their injured birds of prey: a red-shouldered hawk and a barred owl. We learned some of the great adaptations that raptors have and some things we can do to help them survive.